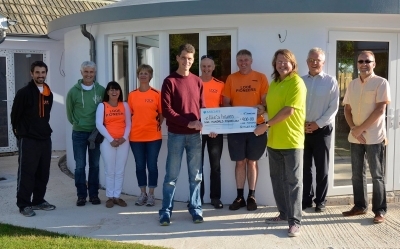 We were very grateful to receive a cheque for £900, raised at the Looe 10 Miler race in March this year. A group of Looe Pioneers came to the Haven in Duloe and we were delighted to give them a walk around the new facilities. Many thanks to those who raced on such a cold, wet day and to everyone who supported them!